Construction materials constitute a large fraction of entire cost in construction projects. As the cost of materials is significant, the management of materials that too at inventory level is essential for the successful completion of the project. The tracking and locating of materials at construction sites is a big concern among construction entities. In construction sites, the improper handling and storage of materials has made it difficult to track and locate them when needed. The tracking and locating of on-site materials often gets complicated when conventional tracking process is used, which is labour intensive, error-prone, unreliable and contribute to the increase in construction cost. Materials Management is a wide term that includes managing appropriate materials in warehouse, requirements, monitoring materials, providing methods of replenishments, reporting status on materials availability and so on. Mostly, there are warehouses left with excess supplies from the completed jobs. These supplies have value that could be added to your bottom line if managed properly. 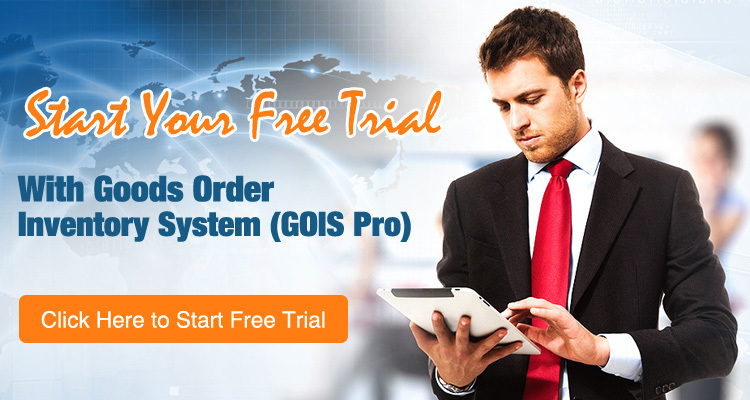 GOIS Pro is a suite application that covers the material management efficiently. GOIS Pro lets you keep the list of all your supplies so that they may be properly located. It can also catalogue and track inventory in real-time from multiple locations and multi-user environment. It is an inventory management system that keeps track of inventory at hand, minimum and maximum inventory counts, pieces of inventory attached to specific work orders that can be used through any online or offline mobile device from construction sites. Purchase order is also a module of GOIS Pro. A purchase order states what needs to be purchased, what it should cost and when it is to be delivered by line item. GOIS Pro generates electronic purchase orders directly selected by a user or using predefined criteria selected from a database. User may also set a desired delivery date for a purchase order and may keep the track of same. The speciality contractors who offer services can track installation dates and warranty expiration dates on equipment purchased. For contractors, dealing with high volume of items moving into their warehouse (or trucks) and then to jobs, bar coding system of GOIS Pro can provide a huge improvement in productivity. Not only it helps you scan and count the items but also facilitates tracking the movement between locations and identifies any shortages much faster. And, it, of course, provides cost related data of the job, well in time. Going beyond traditional inventory management software, GOIS Pro provides a centralized system to help in making quick decision- a system, which is accessible from multiple platforms. And, it can also generate robust yet flexible standard reports related to stocks and business. Furthermore, it provides audit trail of all material receipts, transfers, sales and adjustments. In nutshell, GOIS Pro manages inventory, and helps you ensure that materials and equipment don’t fall through the cracks, and thus, enabling you to minimize capital and carrying costs. Next → Next post: Encountering Problems in managing Trading business? Need effective Inventory management system?